One of my goals this year is to really utilize pinterest in my homeschooling. I want to do the activities that I pin, not just pin them because I like to look at pictures all day! What I find somewhat difficult is organizing all of the ideas. It was easy at first, have a board for food – and all food goes there. Of course now, I have so many food pins that I wouldn’t be able to find something if I wanted to. Coming up with new board names, and then organizing my pins to these new boards is something I will be working on. I also have to allow myself some leeway. Pinterest can be a death trap for anyone. Often times I will see a pin and think to myself “I can totally do that!” just to realize when I have purchased all the supplies that, no, I cannot do that, and what was I thinking attempting it?! So, while I would love to build a huge castle made out of cardboard with my kids that is fully wallpapered, has windows and curtains; I know that is not going to happen – and it is ok. But, I can build a castle out of all the boxes we have lying around, and the kids can go to town decorating it with their assorted art supplies, and I will call it good. 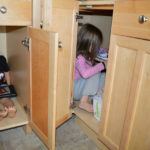 Do you use pinterest in your homeschooling? Do you end up pinning things you know you can actually do, or do you pin anything that looks pretty (like me!)? I love Pinterest! I do use it as a tool for homeschooling. 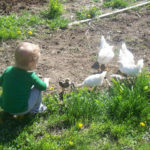 This is my first year homeschooling and it has been very beneficial to have all of those resources at my fingertips. 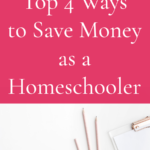 I have incorporated about 25% of the things I have pinned into our homeschool, and plan on using the rest as my children get older and we have need for that topic/subject. 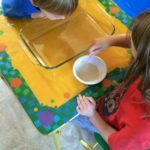 For someone who does not have any relatives or close friends who homeschool and not having a lot of prior knowledge about it, Pinterest has been just wonderful. I haven't been on pinterest long, but I have found some good recipes and ideas there. Love it too but definitely need to organize and clean up the pins!!! Bahh I love it too…and I actually do reflect on it and clean up pins regularly. I had the same issue with the Food so I went back and created separate boards for breakfasts (which is where I look for brunch ideas), soups & salads, desserts & drinks, etc. I might end up doing the same separation idea for home stuff—we'll see. I agree though—I think it's a great resource!